Like its predecessor, Thick as a Brick, A Passion Play is a concept album with a single song (which was split into two parts on the original vinyl LP release). The theme of the concept is the spiritual journey of one man in the afterlife. “Tull fans are a rather cordial group but breech the topic of “A Passion Play” at your own peril. Many vehemently defend it as Tull’s finest work — others downright loath it. Tull fans are not the only confused lot. While many critics did (and still do) pan the album, it is not too difficult to find reputable, glowing evaluations. The album even hit #1 in the U.S. charts, Tull’s last top runger in the standard rock/pop listings. 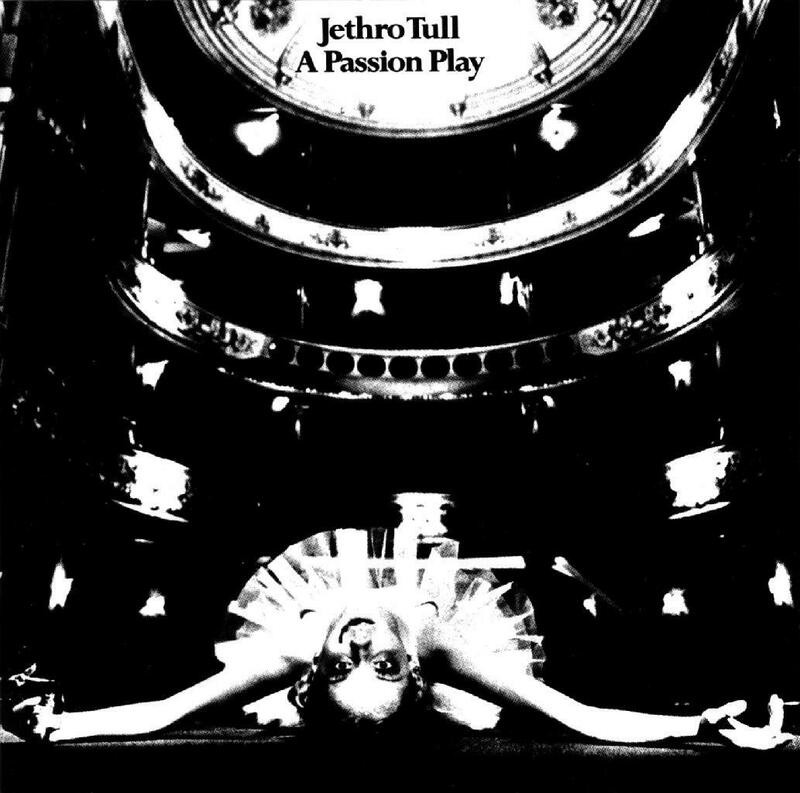 Alongside Thick As A Brick, 1973’s A Passion Play is Jethro Tull’s most overtly Progressive and conceptual release, featuring a complex poetic narrative framed by the most adventurous music of the band’s career. A Passion Play (An Extended Performance) features new Steven Wilson mixes (stereo and 5.1) of the album, alongside Steven Wilson mixes of the infamous ‘Chateau Disaster’ recordings that preceded it. 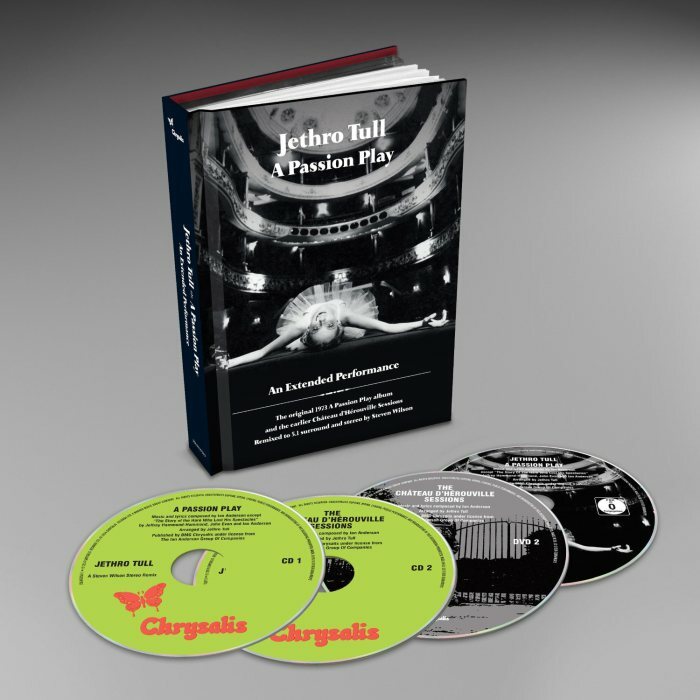 Packaged with an 80 page book detailing the album, the band’s 1973 tour and the Chateau recordings, (An Extended Performance) is a glorious way to celebrate a one of a kind release. * An extensive article by Martin Webb on the preparation and recording of the album and the ‘Chateau disaster’ sessions that preceded it. * Steven Wilson’s thoughts on mixing the recordings. * The Rev’d Godfrey Pilchard’s recollections. * Recollections of touring and PA systems by sound man Chris Amson. With only seventeen days left before the American tour, Ian wrote new material and vastly restructured some of the “Chateau d’Isaster” ideas and the band recorded the 45-minute album. “A Passion Play” is much darker than “Thick as a Brick,” both in music and theme. Musically, “Play” is heavily toned with dominating minor key variations. Thematically, the concept album chronicles, as the title implies, a story of life and death, beginning with a recently deceased man viewing his own funeral, descending into purgatory and Hell, then reincarnated. The lyrics are, arguably, even more confusing than “Thick as a Brick” and Tull fans vary in their interpretation of the details. The strangest segment of “Play” is undoubtedly “The Story of the Hare Who Lost His Spectacles,” a spoken word piece with musical underpinnings. It is often noted the piece has lyrical connections to “Winnie the Pooh” or “Alice in Wonderland” yet the best, and appropriate musical, comparison would be to Prokofiev’s “Peter and the Wolf.” Like this classic piece, the band backs a story teller with music representing the tale’s characters and events. 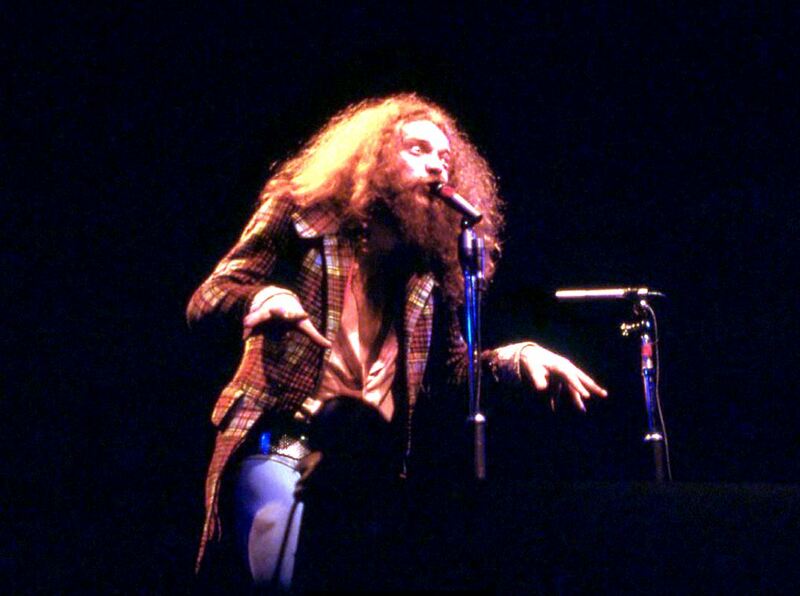 The long, nine-month supporting tour (even beginning before the album’s release) featured the entire album, supporting film (later to appear on the 25th Anniversary video), and perhaps Tull’s high water mark for elaborate stage productions. 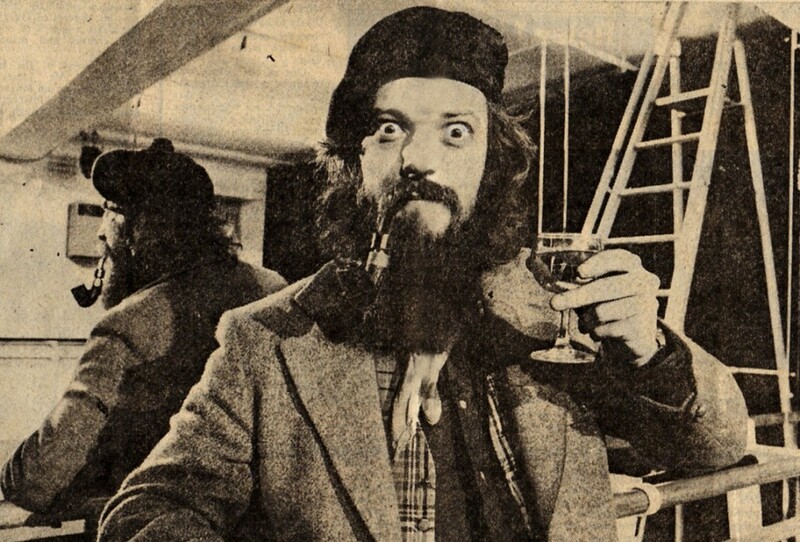 A low point occurred, however, when Tull’s business manager announced the band would cease live performances, in response to negative critical reviews of the album and concerts. It was not true, and seriously hurt the band’s image. To this day, Ian gets questions about why the group disbanded in the 1970’s (see the all too frequently asked questions page for Ian’s response to this all too common inquiry).